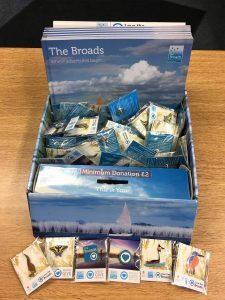 Well it’s that time of the year again when we make our annual donation to the Love the Broads Visitor Gifting Scheme, which is administered by the Broads Charitable Trust. This year we are delighted to have given £1,587 to the scheme. This represents £1 for each boating holiday that we provided during the main 2018 holiday season. 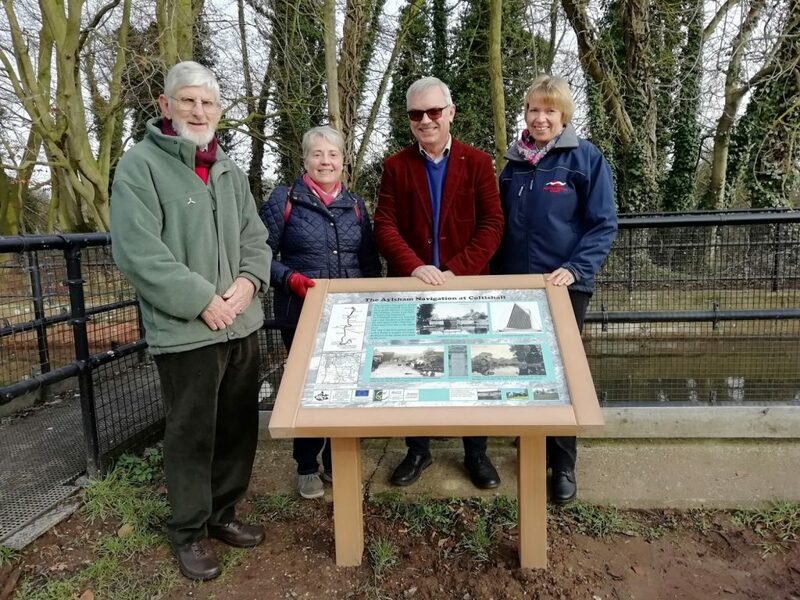 One of Love the Broads projects that we part funded last year was the installation of six interpretation boards along the River Bure from Coltishall Lock to Aylsham Staithe. These boards tell the story of the navigation system between the two villages and were the inspiration and work of the Bure Navigation Conservation Trust. The navigation system opened in 1779 to enable wherries to carry goods through a series of locks. Sadly, use of this navigation declined after the railways arrived and it suffered irreparable damage by the great flood of August 1912. It was a real pleasure to be part of this project which brings to life the history of this special river and its industrial heritage as well as the other projects that we have supported and featured in previous news posts. We are now looking ahead to what Love the Broads projects we will support in 2019. As the donations we make are on behalf of you our customers, we thought that we should ask whether you have any ideas for projects that could enhance, preserve and promote the wonderful Broads. Just get in touch if you have any ideas! As well as this annual donation we also have badges and books for sale around our site. Have any of you managed to collect all of the different badge designs yet?